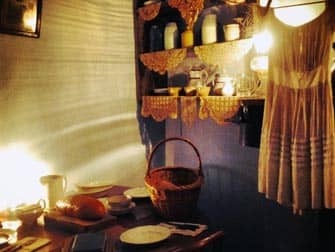 The Tenement Museum in New York tells the history of the city’s many immigrants. It is a nice museum to visit if you already have been to the known museums and want to learn a little more about the melting pot. 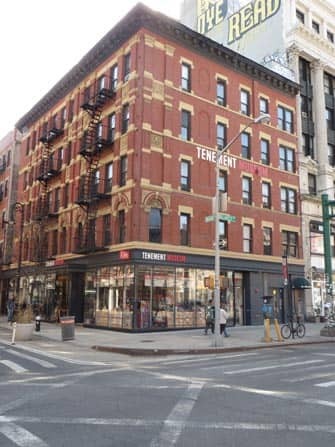 The Tenement Museum was established in 1988 and restored six apartments back in to their original state. It gives visitors a unique look at New York’s history. The enthusiastic guides tour you through different apartments and bring you back in time. You’ll see how the area developed into “Klein Deutschland”, got taken up by eastern Europeans and finally the Irish community settled in. 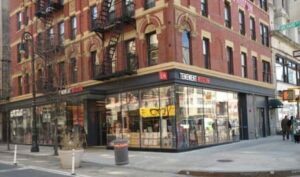 The museum is in the Lower East Side on 97 Orchard Street and located in an apartment complex that was once home to over 7,000 immigrants of 20 different nationalities between 1863 and 1935. The inhabitants had all one thing in common: they were faced with huge challenges under extremely poor circumstances. They had to get accustomed to a new identity, work extremely hard for a better future and support their families with very limited funds. Can you imagine a life without gas, running water and electricity? And a toilet in the backyard that you shared with 20 other families? Please note: You can only tour the apartments during a guided tour. Below you find a selection of tours currently organised. Often more than one tour starts at the same time, so pay attention you are joining the right group. You aren’t allowed to take photos inside. This basement of the apartment complex has hosted various shops throughout the years. The guide will introduce you to German John and Caroline Schneider who run a bar in 1870. With the help of an interactive media show you will hear the stories of a kosher butcher family from 1900’s, an auction master from 1930’s and the owners of a lingerie shop from the 1970’s. 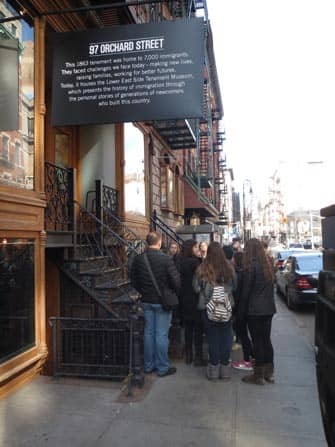 Visit the Polish Levine family and the Lithuanian Rogarshevsky family at the start of 20th century, when Lower East Side was once the densest inhabited area in the world. They ran a clothing shop on 97 Orchard Street. You will see and hear how the immigrants, despite the hardship, tried to balance work, religion and family life. The tough competition with others in the neighbourhood did not make the situation easier: there were at least 100 other clothing makers in the business at the same time. You can take an extensive tour of two hours. This includes discussions about themes that are part of the tour. Recommended age 12+. This might be one of the most impressive tours. You visit the house of German Jewish Gumpertz family. The man of the house suddenly disappeared during the Panic of 1873, a three-year long depression and financial crisis that knew many bankruptcies and strikes. You will also see how the Italian Catholic Baldizzi family lived and got through the Great Depression of 1930’s. There is an opportunity to participate in a more extensive tour for two hours. During this tour there is a chance to discuss the experience in more detail with the guide and other participants. Recommended for 12 years and older. In the 19th century immigrant families moved approximately once a year, as did the Moore family. Father of this Irish-Catholic family started to earn more and they were able to move from the criminal Five Points to 97 Orchard where they were treated like outsiders by the German community while trying to find ways to deal with a loss of their child in 1869. 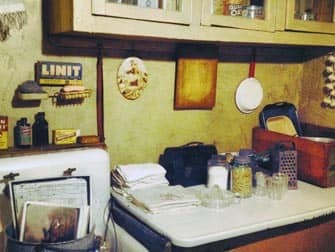 Take a peek behind the scenes at Tenement Museum. Every family that ever resided at 97 Orchard left their own mark behind varying based on the trends and laws of then. You will see how the professionals, curators and archaeologists work in order to showcase the history of this place. Please note: This tour is only available on Thursdays. Eric’s Tip: If you want get the best experience of the museum then I suggest to first watch the film “The Immigrant” with Joaquin Phoenix, Jeremy Renner, Marion Cotillard before going to the museum. It’s a great combination if you are interested in the history and living conditions of the immigrants. Purchased tickets need to be picked up at the museum before the tour. It is advised to be there at least 15 minutes before the tour starts. While you are waiting, the souvenir shop is definitely worth a visit. You can also view an introductory film with a short explanation how the museum was established and about different tours. Directions: Closest metro lines are B/D (Grand Street), F (Delancey Street) and J/M/Z (Essex Street). Bus M15 and Hop-on Hop-off buses stop in the corner of Grand and Allen Street just one block away from Orchard Street. You can buy tickets here. On the site you are able to see how many tickets are still available per tour. This is handy if you need to book for a big group.